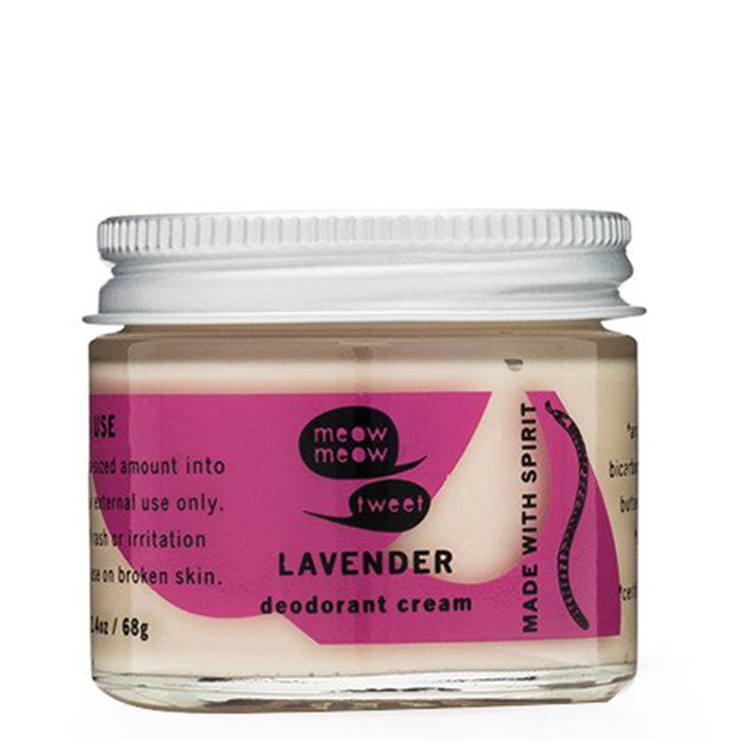 Meow Meow Tweet's natural Lavender Deodorant cream offers natural, safe, long-lasting odor defense. 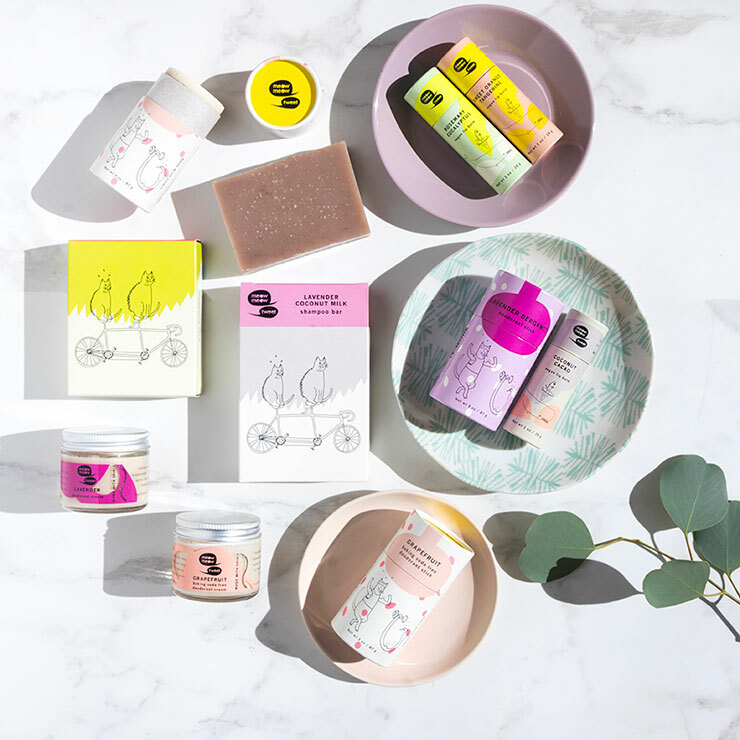 Baking soda, arrowroot, and clay work together to keep underarms feeling dry and provide a light aroma, while organic plant oils and shea butter give a soothed and hydrated feel to sensitive underarm skin. Beautifully aromatic essential oils lend a sense of all day freshness that leave underams smelling pleasantly clean all day long. Gently massage a pea sized amount of essential oil deodorant cream into each armpit with your fingertips.